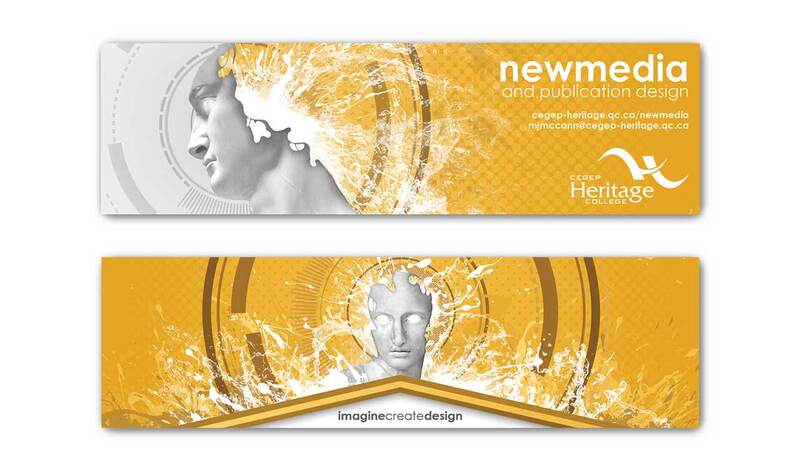 The bookmark is meant to promote the NewMedia and Publication Design program at Cegep Heritage College. 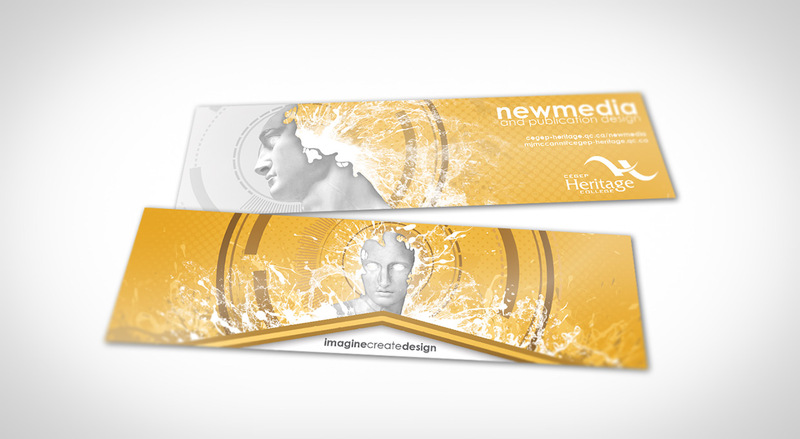 These bookmarks were distributed during the Open House. 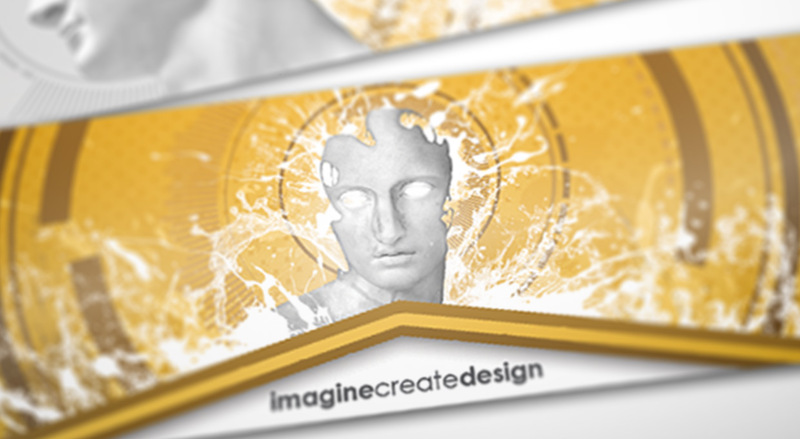 I drew inspiration from Renaissance themes in my interpretation of creativity.